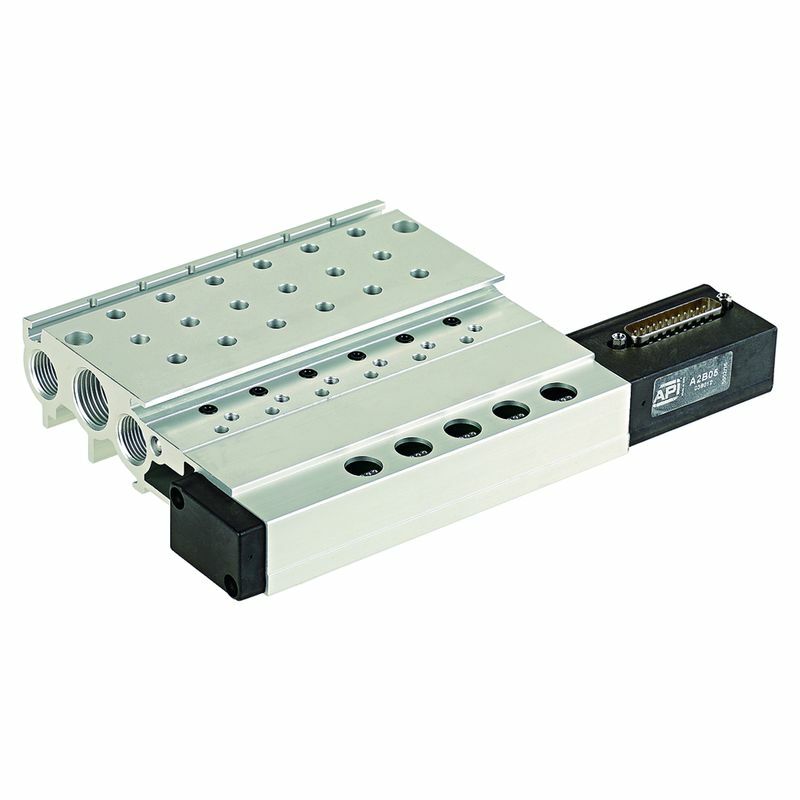 If you need a high quality, durable solenoid valve, API Pneumatic UK has a range of exceptional electrically operated solenoid valves available. 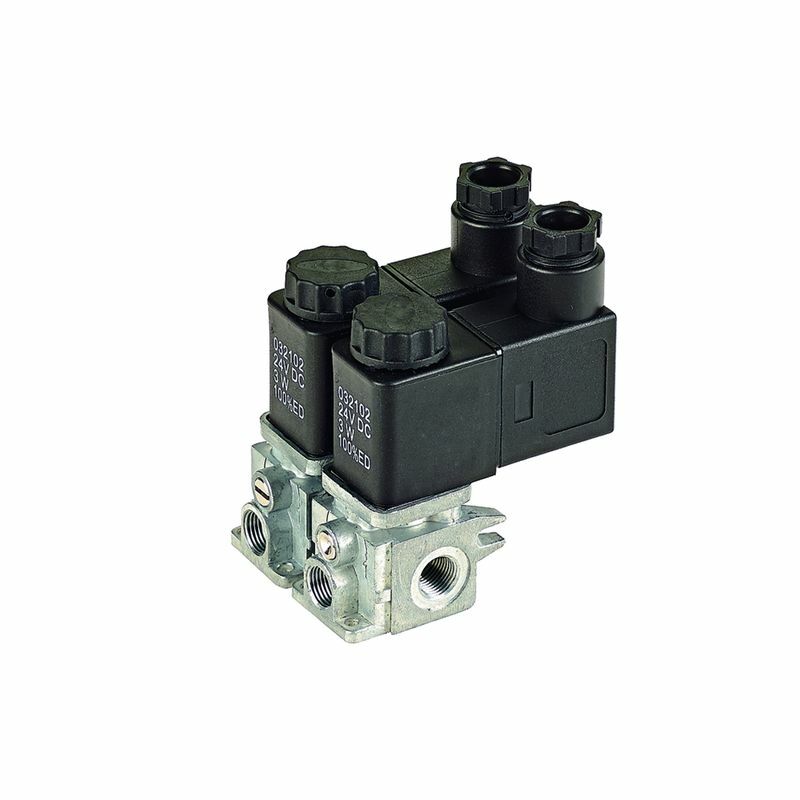 Our A1 valve series of solenoid operated valves, comprises of high quality solenoid spool valves for use with compressed filtered air, with or without lubrication. They are available in an extensive range of sizes to suit the demands of your application. 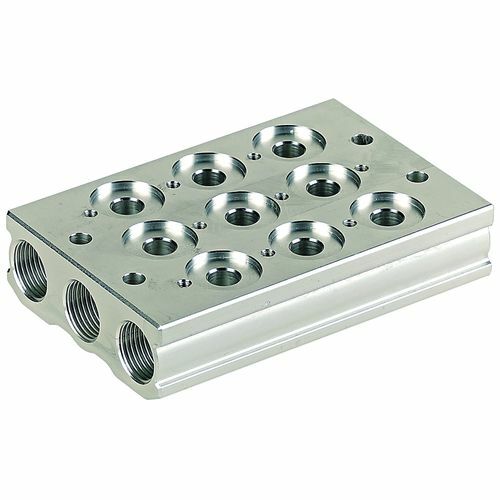 Manufactured with static seals, our A1 valves deliver high flow and are designed specifically for panel or sub base mounting. • Non-sparking coil Ex nA – Manufactured with a special coil for pneumatic application in explosive environments. 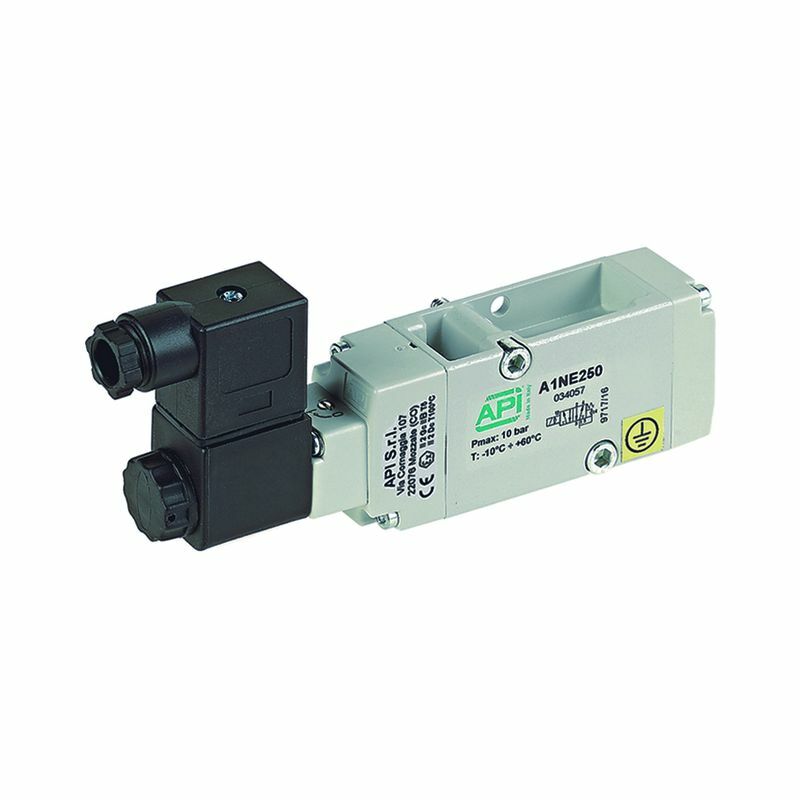 • Intrinsic safety Ex ia – A low consumption solenoid operator that conforms to ATEX standards. • Encapsulated coil Ex dm – Manufactured with a special coil for pneumatic applications in explosive environments. If damaged, the coil will disconnect from the power as a level of protection. • Flameproof coil Ec db – Flameproof to prevent possible overheating or sparking. This valve is essential for potentially hazardous environments, as it contains internal explosions to prevent a bigger explosion. • Encapsulated coil Ex mb – Manufactured with a special coil for pneumatic applications in explosive environments. 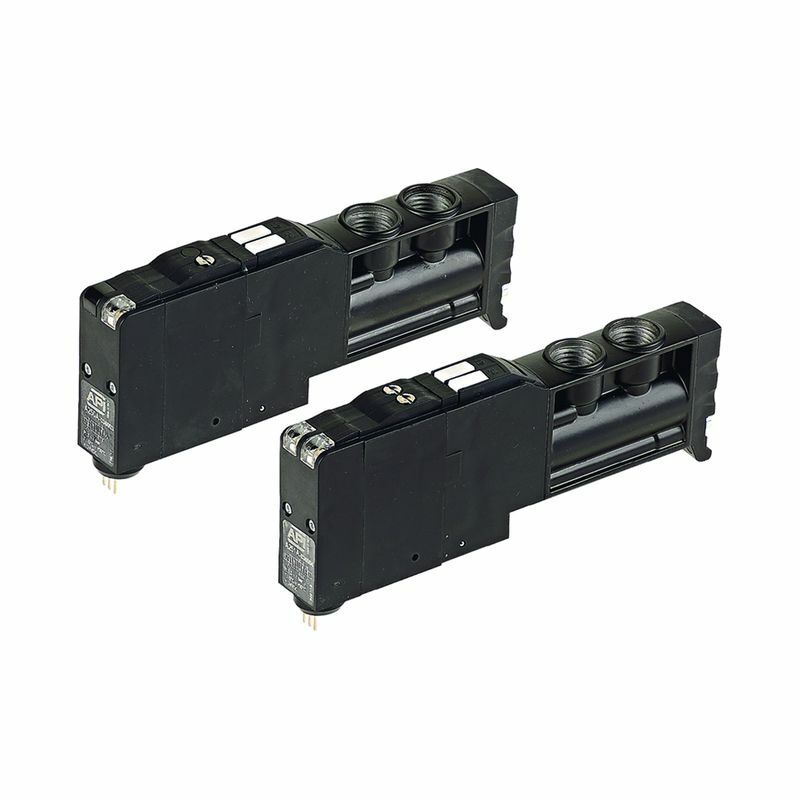 The A2 series of innovative, electrically operated solenoid valves offer high flow rates from a smaller valve body. These solenoid spool valves are fast and practical to assemble with coils with low power consumption. 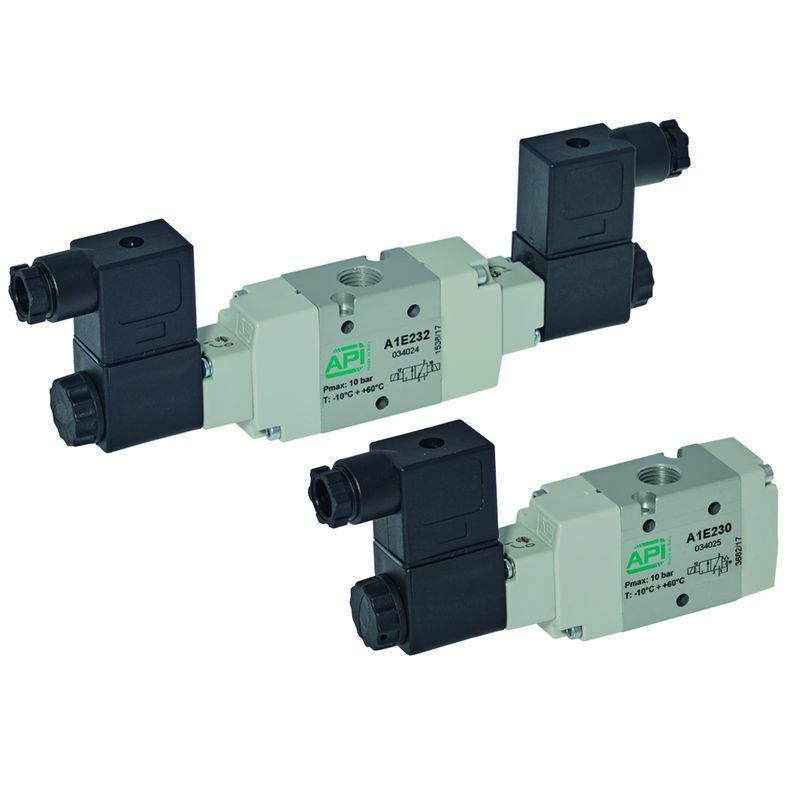 These particular API solenoid valves are again for use with compressed filtered air, with or without lubrication, and for multi-pole connection on an island sub-base. At API Pneumatic UK, we have a range of electrically operated solenoid valves that conform to ISO 5599/1. We have both IO1 and IO2 solenoid spool valves available, which offer differing orifice and flow options. As well as a wide selection of versions to choose from, we can also offer several mounting options, including inline pilot or CNOMO pilot. Our directly operated solenoid poppet valves are manufactured as both 15mm and 22mm options. For use with compressed filtered air, these particular solenoid poppet valves are designed from Acetal resin on both the body and internal parts, along with stainless steel internals. Stainless steel is known for its robust and non-corrosive properties, for use in harsh environments. 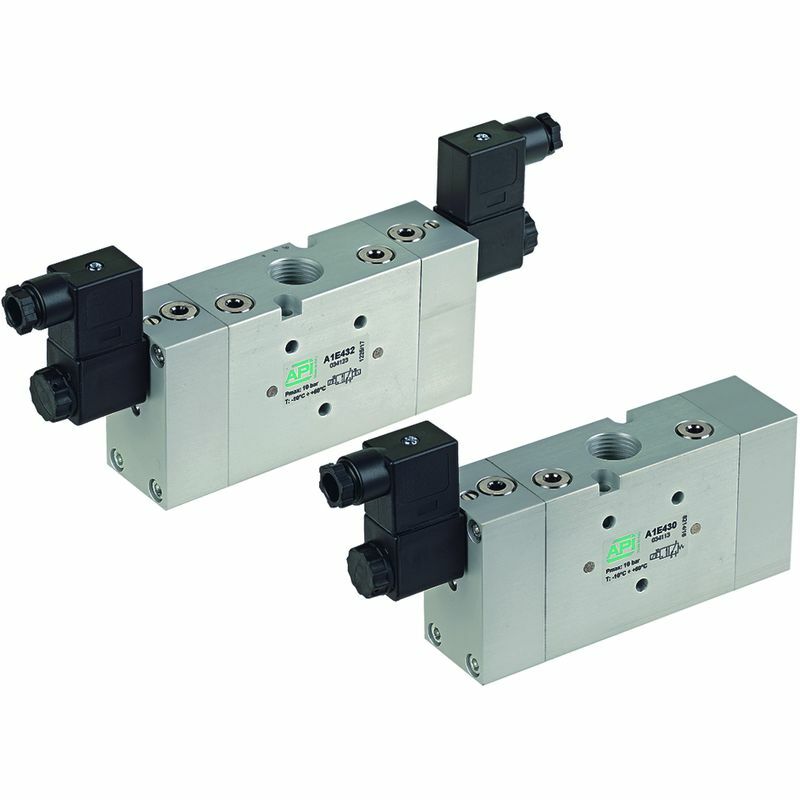 Featuring a robust brass body, and corrosion resistant stainless steel internals, our indirectly operated solenoid valves can be used in a range of applications – including compressed air, water and steam. Available in sizes ranging from ¼” to 2”, our pneumatic solenoid valve selection is available with NBR, FKM and EPDM seal options for use in high temperature and clean water applications. For more information on our entire range of valves, including electrically operated solenoid valves, contact our technical team today. Call 01782 206 995 or email sales@apiuk.co.uk today.